How to share files through the local network? I have a desktop (Ubuntu 13.04 & Win 7 Home Premium) and a Laptop (Ubuntu 12.04), both having WiFi adapters. I also have a WiFi router connected to internet which both my computers can access. I want to share files between my desktop and my laptop using WiFi (similar to Homegroup on Windows 7 but without using Ethernet cables). How do I set-up that? I want to share files using both OSs, if anyone have have information about sharing files with any of the OS please answer! Connect both the desktop and laptop to the WiFi router using standard setup. To check that both computers are connected, test that you can get on the Internet from both computers. Optional: In the router setup, see the local IP addresses assigned to the desktop and the laptop. These may look like 192.168.0.100 or 192.168.1.199. If an option to assign these specific IP addresses permanently in the router exist, you can do that. Check the box "Share this folder." You may also want to check the other two boxes "Allow others to create and delete files in this folder." This will allow you the desktop Windows user to create and delete files on this folder. The "Guest Access" check box is self explanatory. This may be useful if your Windows userID is not exactly the same as your Ubuntu user ID. Click "Install Service" and let it install the software by providing the password for the laptop user account when it prompts. You may be prompted to install more software like libpam-smbpass. Install all the software. It will ask you to restart services and click Yes. Now you should be able to edit files created in ubuntu in the "Public" folder of the laptop in the Windows Explorer. However, if you create a file in Windows and put it in the Public folder of the laptop you may not be able to open that file when you get to the laptop. This is because Windows and Ubuntu do not understand each other's file ownership and permissions. So in the Ubuntu laptop, the file created by Windows is owned by "Nobody". You will have to open Nautilus as an Administrator and change the ownership and read-write permissions while in the laptop. Step 3. Go to the Windows on the desktop computer and open Windows Explorer, Click on the triangle next to Network on the left panel. From the drop-down list you should be able to select the name of the laptop computer running Ubuntu. Now you should be able to see your shared folder (say "Public") from the laptop in the Windows Explorer. Click on "Public" folder and see the files in the folder. 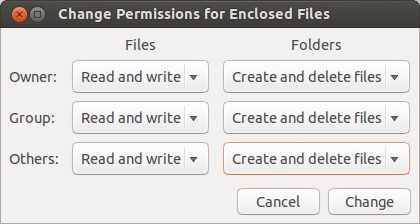 You should be able to copy files from the Public folder in Ubuntu to your Windows local folder. Here is a step by step guide with some more details. Step 1 Setup Windows folder sharing using methods available for Windows. follow the steps in the link above for the Windows part. Step 3 On the laptop, open Nautilus, the file browser and click on Network on the left panel. Click on "Browse Network" Click through the icons in the main Network window of Nautilus and find your Windows Desktop and shared folder. Verify you can copy files from and to this folder. See "Failed to retrieve share list from server" error when browsing a share with Nautilus for reference on editing the smb.conf. Boot the desktop to Ubuntu. Enter your password when prompted. The cursor will not move when you enter the password. This is normal. This will install the ssh-server if it is not already installed. If already installed, it will do nothing. Open Nautilus and find the Menu item "Connect to server". where laptop_user_id is the user ID you created for on your laptop. You can find your user ID by typing whoami in a terminal. And laptop_name is the name you gave to the laptop when you installed Ubuntu. Replace path/to/.../drive with the actual path. Alternately, if you know the local IP address of your laptop you can replace laptop_name.local with the local IP address of the laptop. 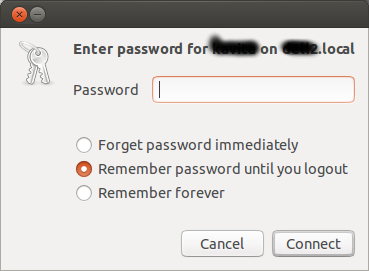 Enter the password associated with laptop_user_id and select if you want the password is to be remembered or not. Again click Connect. Now you should see your home folder of the laptop. Notice there is a new entry under Network on the left panel of Nautilus that begins with laptop_user_id. Right click on it and choose "Add Bookmark" to create a permanent bookmark for your laptop's home folder in the Nautilus of the Desktop. See this page for pictures from an older version. Follow the same process as the desktop above. I am going to propose some alternatives that don't look exactly like SAMBA, but could be better for other use cases. HTTP is the protocol used to access regular websites, so every OS was forced to implement it! Now you can navigate through directories to the file you want. I'm not sure if this method is fast / robust, but it is one of the simplest to setup and portable. You can create a new account for the user if you want to keep your password private. rsync -av 'server-username@192.168.0.10:/full/path/to/remote/directory "/full/path/to/remote/directory with space"' . This is the lowest common denominator method: most robust, efficient, widely Linux available and security relies on well known file permissions + user schemes. Basically it allows you to mount a folder from the server on the guest. Maybe there is also some Windows implementation: https://docs.microsoft.com/en-us/windows-server/storage/nfs/nfs-overview but I'm guessing Microsoft must give better support to its own SMB protocol. 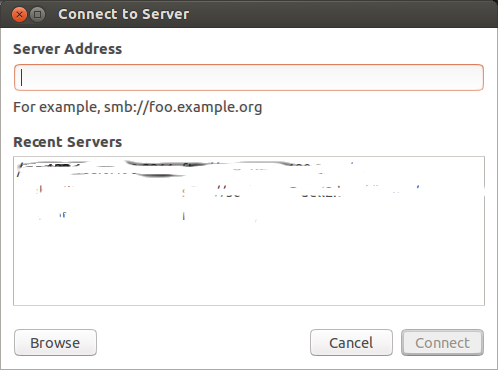 servefile is perfect for casual sharing, it runs an http server on port 8080 (unless -p <port> is specified), so it can communicate fast with any device with a browser. I get 3 URLs because I have 3 IP's from 3 different LANs, normally you would get just 1, but it's awesome it shows you that. BTW with this method I reached 1Gbps transfer speed (maximum speed of my LAN). How do I add my Ubuntu computer to my Windows 7 network? How do I share files between two computers connected to a router? How to share files between two machines in a network with a router? How to check gigabit connection between 2 (X) ubuntu computers? Can I link windows 10 and Ubuntu over Ethernet? 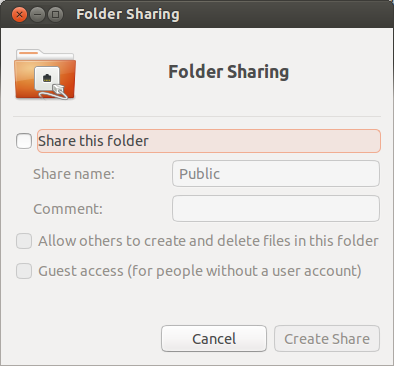 How to share files/folders between two different Ubuntu computers and are on different network? NetworkManager: How to share internet connection with IPv6?